Editor: If you’re asking yourself how could SeaWorld have a banner year in 2011 with record earnings for the company, and yet pay not one nickle in taxes, you’re on the right track. Doug Porter’s First Cuppa this morning turned us on to what article most newspapers in this country ran about the SeaWorld financial saga, which is reposted below. The U-T San Diego ran a similar but different article. Can you find the differences? Not only does SeaWorld apparently pay no taxes for 2011, it leases the public land it’s on from the City at dirt cheap prices. 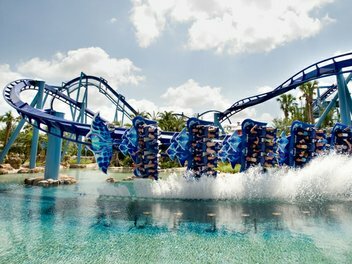 ORLANDO, Fla. _ SeaWorld Parks & Entertainment had a banner year in 2011. Attendance and guest spending rose across its U.S. theme parks. Earnings set a company record. But SeaWorld won’t have to pay a dime in federal income tax. It will not have to pay any Florida corporate income tax, either. Thanks to big tax deductions for capital investment and interest payments, SeaWorld’s record 2011 will actually go down as a loss for tax purposes. A spokesman for SeaWorld, whose core earnings topped $380 million last year, confirmed that the company won’t have to make any income-tax payments for 2011. “We did indeed have record financial performance in 2011, but, largely because of high tax depreciation and the debt we carry, we had no income the federal government defines as taxable,” SeaWorld spokesman Fred Jacobs said. 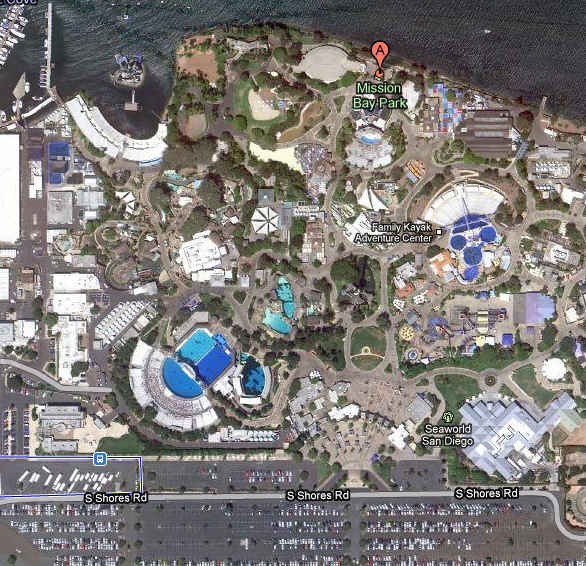 SeaWorld “operates entirely within the letter and spirit” of federal tax laws, he said. Jacobs said SeaWorld pays “tens of millions of dollars” in other forms of federal, state and local taxes. He said SeaWorld will “likely” begin paying some federal income tax next year. SeaWorld is a striking example, but it is far from unique. Although the United States levies one of the highest corporate-income-tax rates in the world _ 35 percent, not including state taxes _ many companies pay far less thanks to myriad deductions, breaks and shelters. A study of Fortune 500 companies profitable from 2008 to 2010 found that they paid an average effective federal-tax rate of just 18.5 percent. About one in every four of those companies paid effective rates of less than 10 percent, according to the study, which was conducted by the liberal-leaning advocacy groups Citizens for Tax Justice and the Institute on Taxation and Economic Policy. About one in every 10 achieved negative tax rates. The disparate tax bills among businesses have fed pressure in Washington to reform the nation’s corporate-tax code. President Barack Obama in February unveiled a plan to eliminate dozens of breaks but reduce the overall rate to 28 percent, though any tax changes will face fierce opposition from the businesses and industries that benefit from the current system. Experts say private-equity companies are particularly shrewd tax strategists with the companies they purchase _ such as SeaWorld. 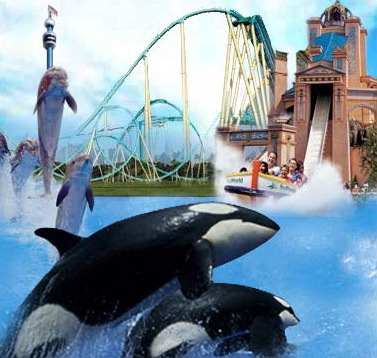 SeaWorld has been able to erase its income-tax liability in large part by claiming high depreciation, which allows companies to subtract from their taxable income the cost of building or buying certain long-lasting assets _ such as theme-park attractions _ during a period of time. When Blackstone bought SeaWorld in late 2009, the transaction was structured in such a way that the $2.5 billion purchase price was allocated to the company’s depreciable assets. That allowed SeaWorld to immediately begin taking large tax deductions for depreciation. Theoretically, businesses that benefit from big depreciation deductions will eventually face higher taxes once they have completely written off the asset. But tax experts say businesses can perpetually defer those payments by making continued capital investments. “It never catches up. They keep investing in assets, and they keep getting the depreciation, and it never turns around,” said Rebecca Wilkins, senior counsel for federal-tax policy with Citizens for Tax Justice. 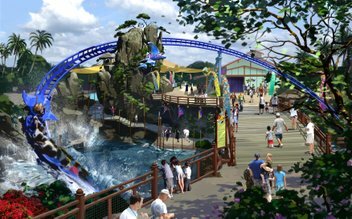 Analysts expect SeaWorld’s capital spending will be well over $130 million a year for the foreseeable future. SeaWorld also gets a big benefit from tax deductions on debt interest. Blackstone put up only $975 million of its own cash to purchase of SeaWorld from brewer Anheuser-Busch InBev. The remaining amount _ about $1.5 billion _ was financed by debt taken on by SeaWorld. Interest payments on that debt are tax-deductible. Debt-interest deductions are one of the tax breaks now under the most scrutiny in Washington. Critics say the current tax code encourages businesses to load up on debt because investments financed using equity _ by the issuing of stock _ are not eligible for the same tax deductions. The disparity is magnified by accelerated-depreciation tax breaks. A business that finances a project today with equity would pay an effective marginal tax rate of 37 percent, according to a White House report on corporate-tax reform. But if it finances that same project with debt, the effective marginal tax rate would be negative 60 percent. SeaWorld didn’t pay state corporate taxes in Florida, according to the article. Do they pay them in California? How much do they pay in local taxes, and what kind? they are only doing what the tax code allows them to do. why would you want to punish a place that provides jobs, marine research, and brings in lots of tourist $$$ ??? anyway, the entire tax code needs to be thrown in the dumpster, and for some reason no one wants to do it…….